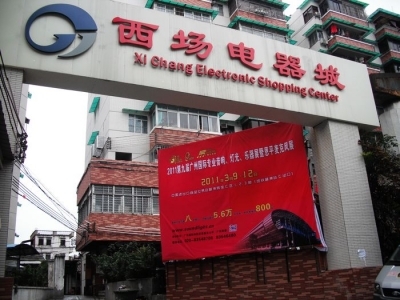 Xichang Electric City(Large) is made ​​large distribution center for fine audio equipment, the victorious country, calendar year sales ranks in the forefront. Circuit City, West field professional audio-visual company, appliances, equipment sales more than 200 shops, famous at home and abroad gathered in the TV, disc players, amplifiers, speakers, audio accessories and other audio-visual equipment, fever, and rich audio and video products, high, medium and low level goods, silver, suitable for all levels of the purchase. West Field West Sound Electric city also has a showroom, business and show the world the latest and most popular audio equipment, and often of all sizes and grades for a variety of ancillary equipment for portfolio presentation, evaluation experts are regularly invited to speak, answer questions about technical issues, the vast number of music fans gathering and exchange of fever world. Xichang Electric City(Large) is the largest city of audio equipment sales distribution center is one of the large wholesale Mainland radiation transfer station, and provide customers with comprehensive retail and wholesale, goods shipping services, the price of quality assurance, accessibility by consumers the trust and support.